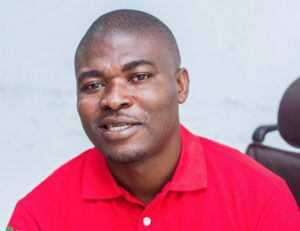 A Deputy National Organizer of the opposition National Democratic Congress (NDC), Kobby Barlon has insisted the charges against the party’s Chairman Samuel Ofosu-Ampofo and Deputy Communications Officer, Kwaku Boahen are politically motivated. He told Kwabena Agyapong on Rainbow Radio 87.5Fm that the ruling government, is on political witch hunting exercise because the charges leveled against the two national officers are baseless and without merit. He was of strong optimism the two after the court case, would be acquitted and discharged. Me Barlon says the party and the two officers will comply with the processes at the court. The Accra High Court on Tuesday, granted bail to Samuel Ofosu Ampofo, Chiarman of the opposition National Democratic Congress (NDC) and Anthony Kwaku Boahen, a Deputy Communication Director of the opposition, National Democratic Congress (NDC). The two were dragged to court by the A-G for allegedly inciting violence against the Chairperson of the Electoral Commission (EC), Mrs Jean Mensa and the Chairman of the Peace Council, Most Reverend Professor Emmanuel Asante. In the case of the A-G that the said act was committed during a meeting Ampofo had with NDC communicators on February 3, 2019. But counsel for Mr Ampofo, Tony Lithur has argued that the case was an abuse of the prosecutorial powers of the A-G, and, therefore, these was no basis for legal action his client. Counsel for Boahen, Dr Abdul Basit Bamba, on the other hand, described the charges as frivolous and facetious, with no basis in fact and law.